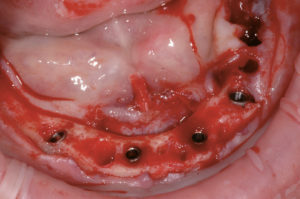 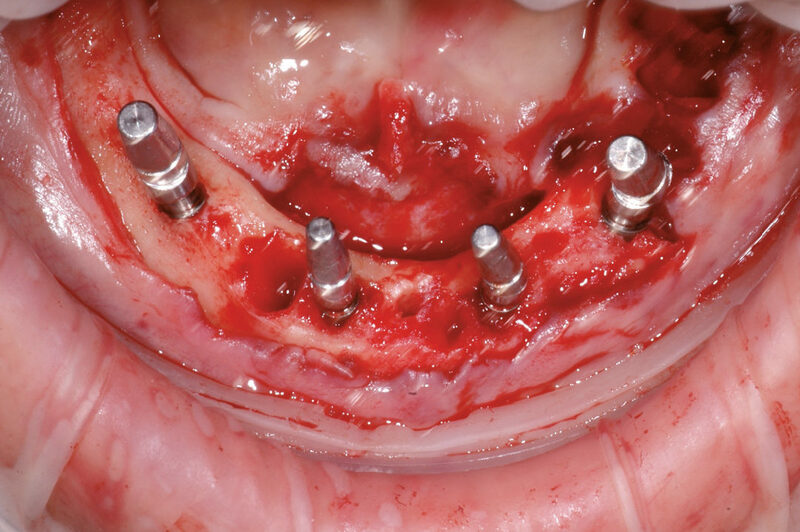 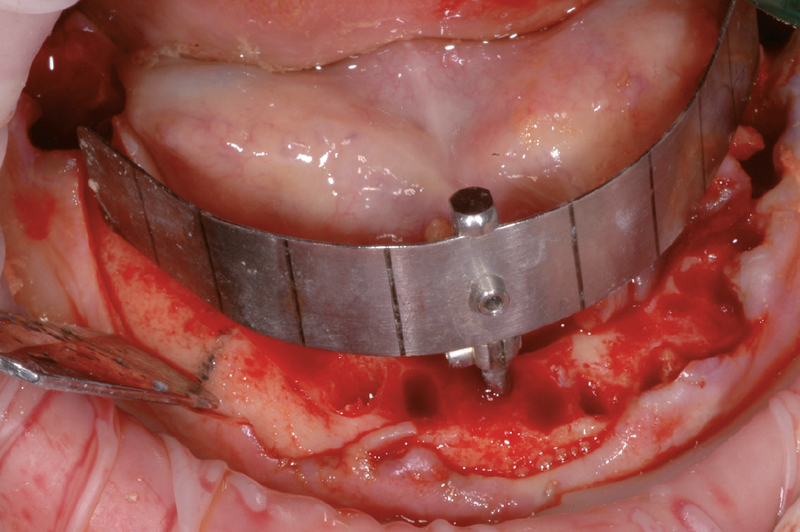 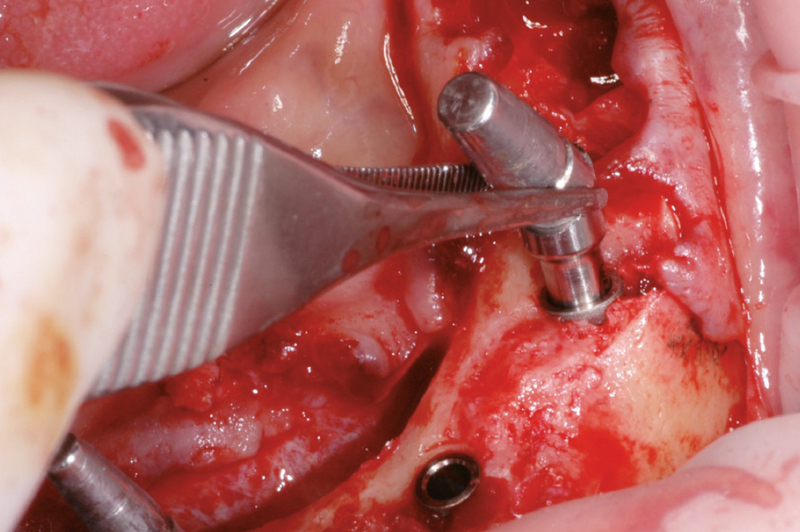 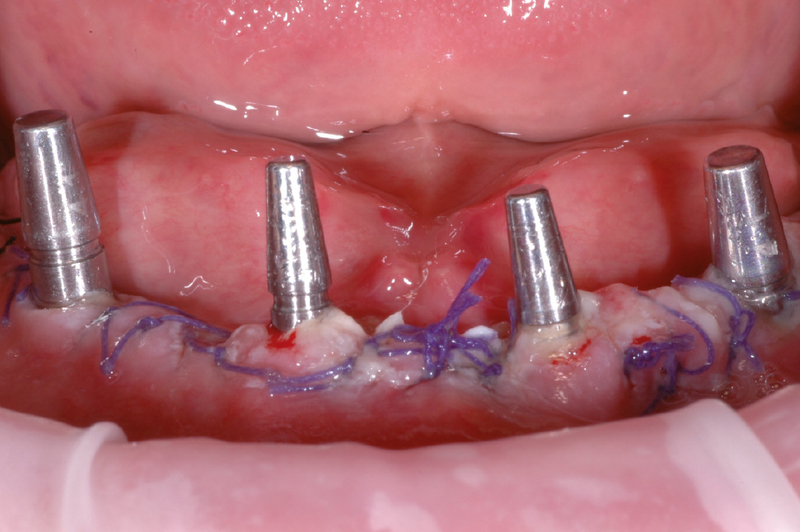 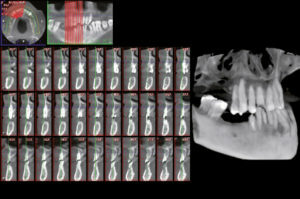 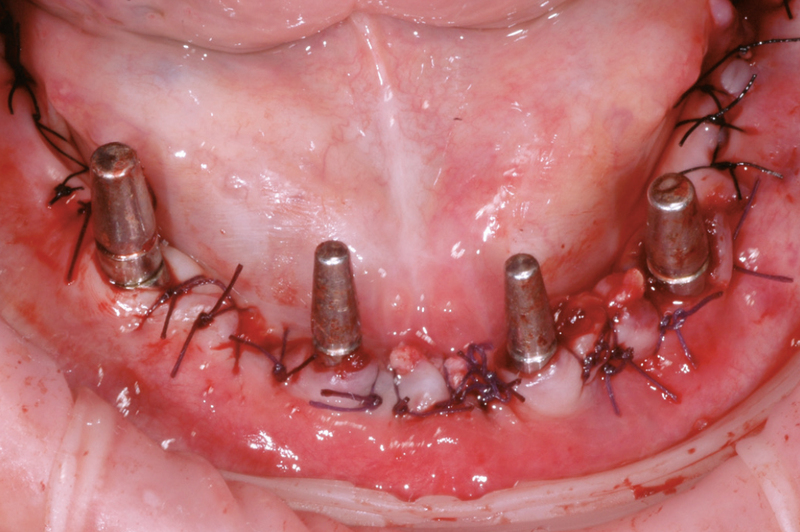 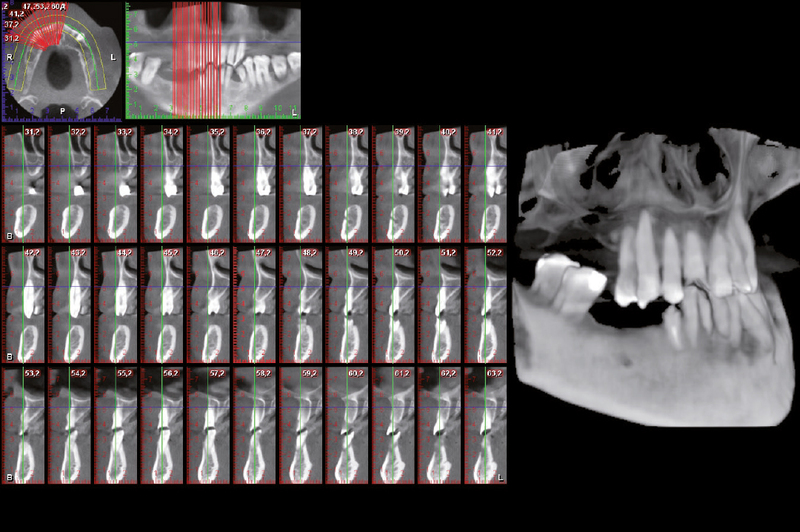 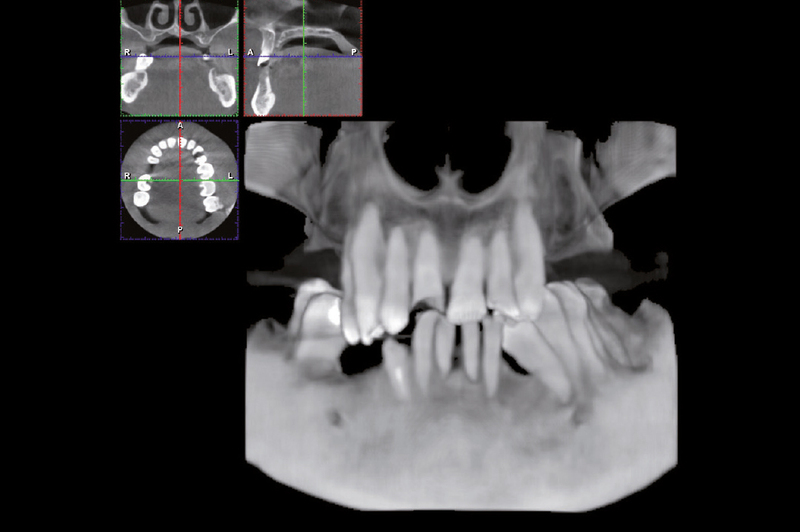 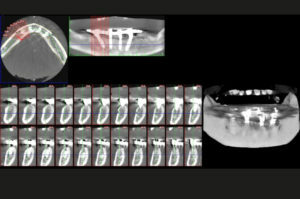 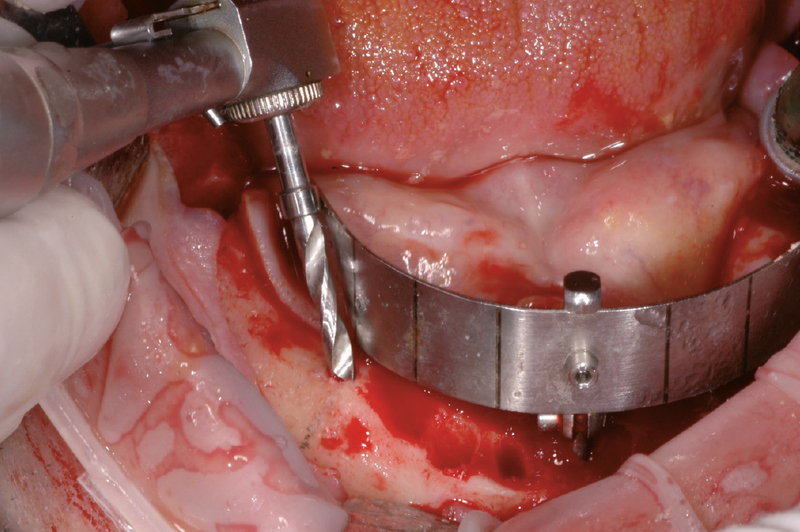 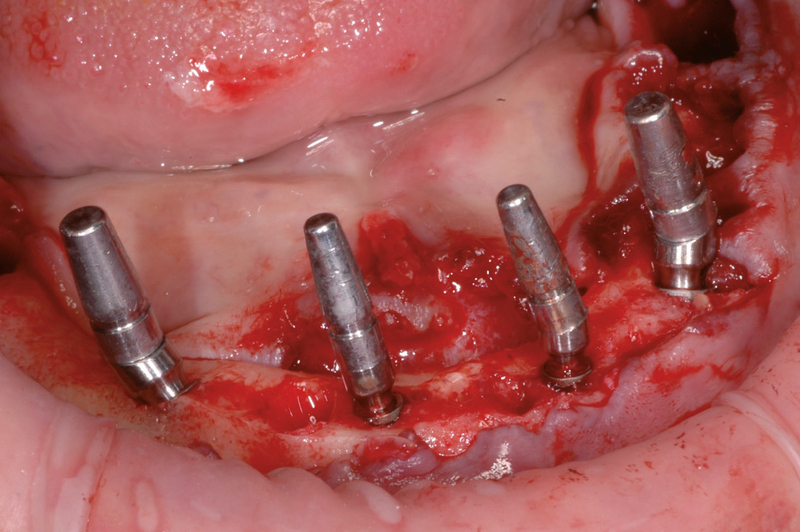 This case report shows the immediate loading of four Leone implants in the lower jaw with a screw-retained prosthesis. 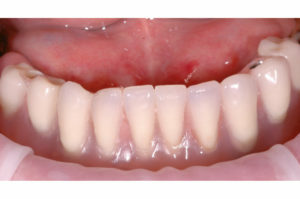 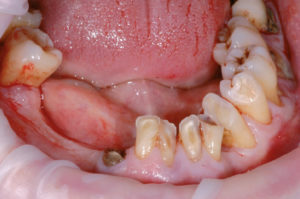 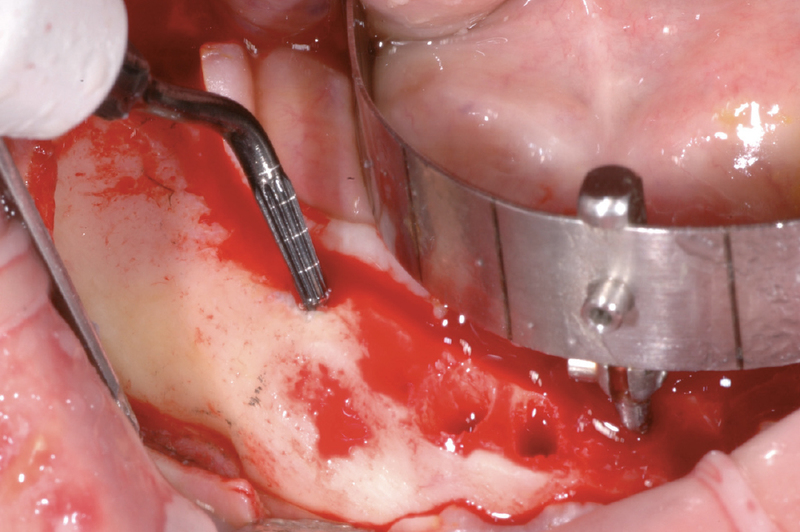 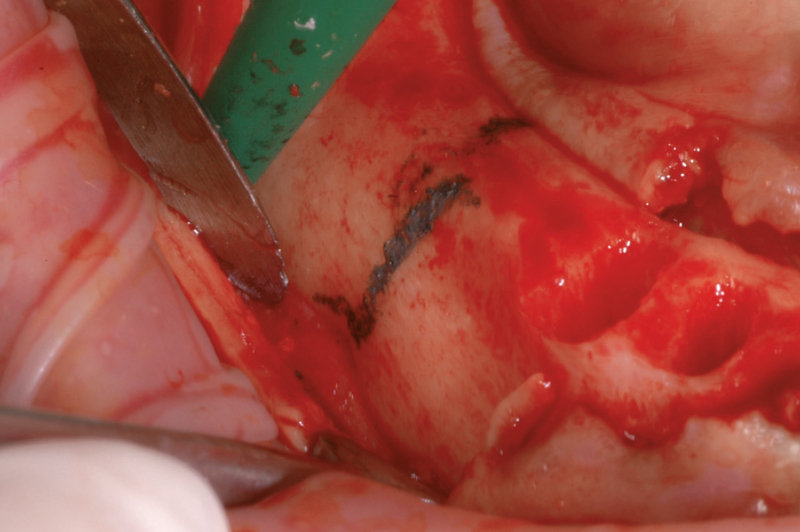 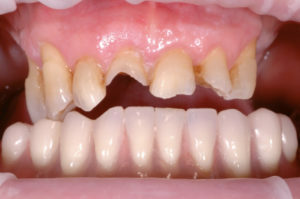 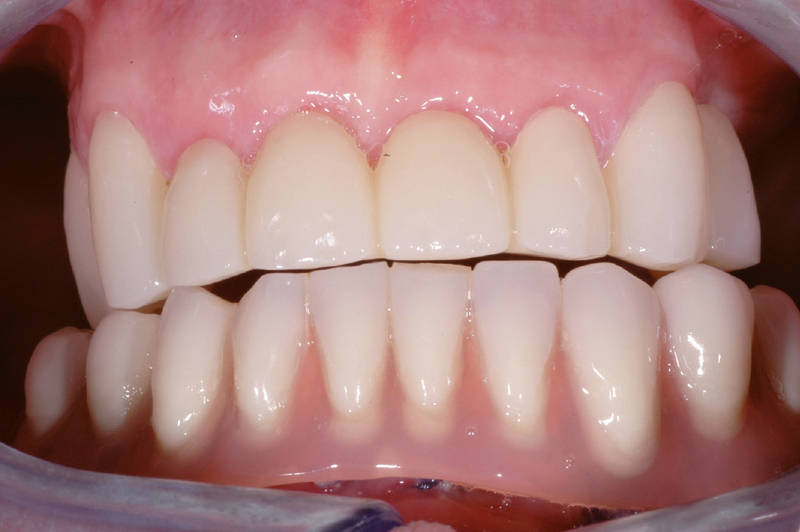 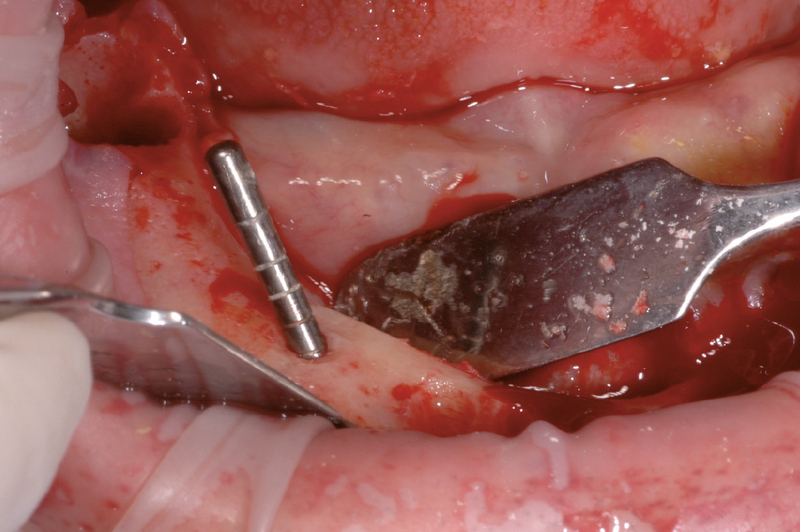 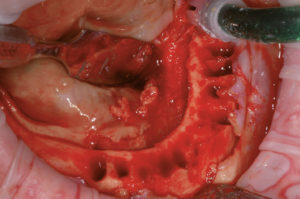 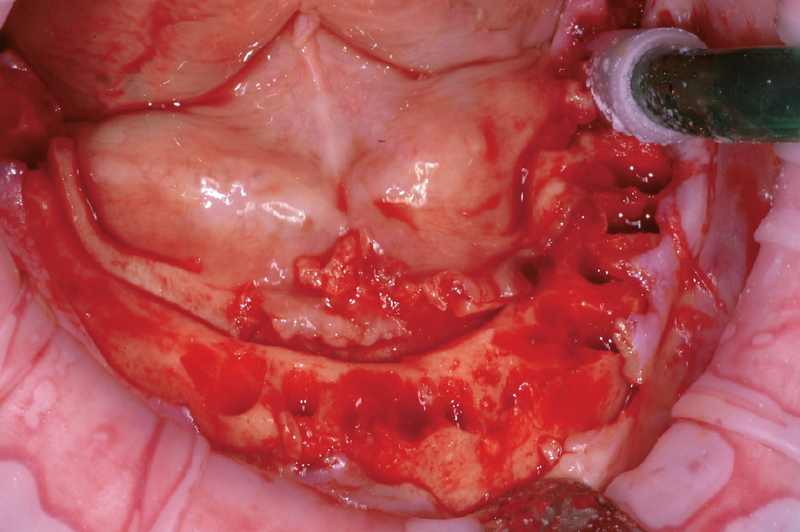 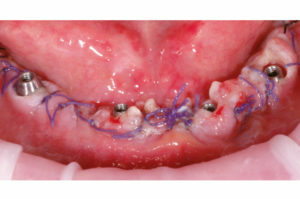 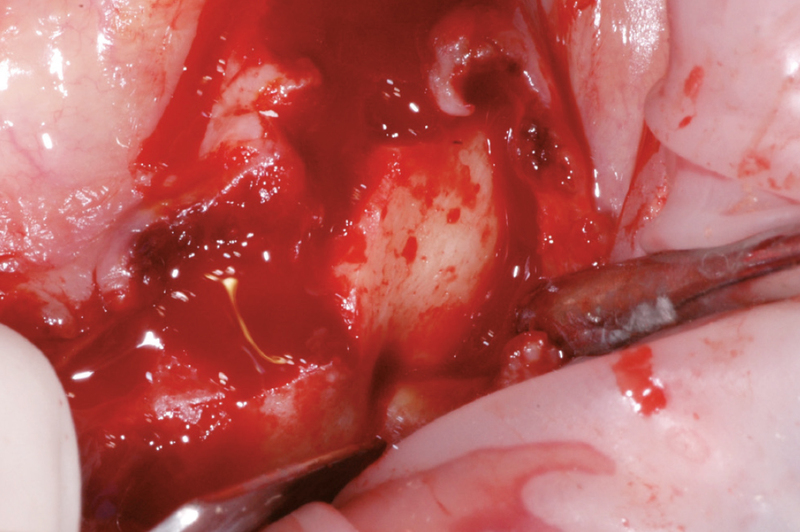 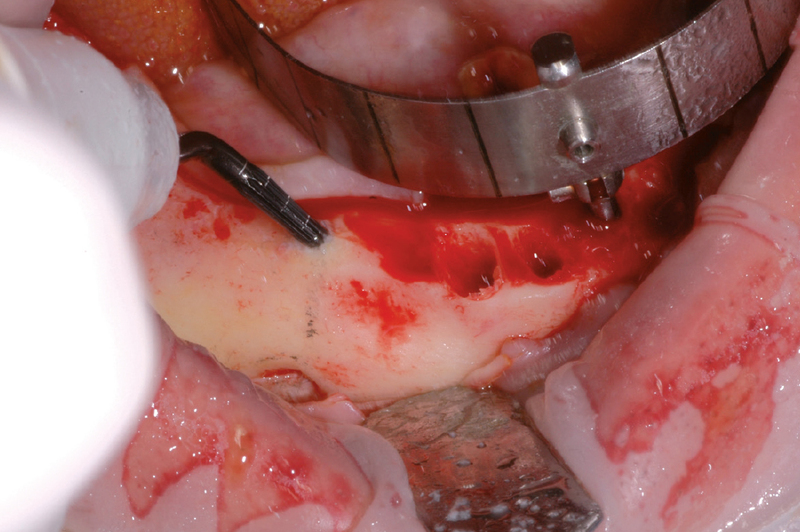 The 63-year-old male patient, with a hopeless dentition in the lower jaw due to several loose teeth, abscesses and compromised masticatory function, asked for a fixed restoration without a removable provisional phase. 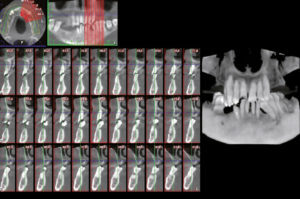 Clinical and radiographic examinations were performed and treatment options were discussed with the patient. 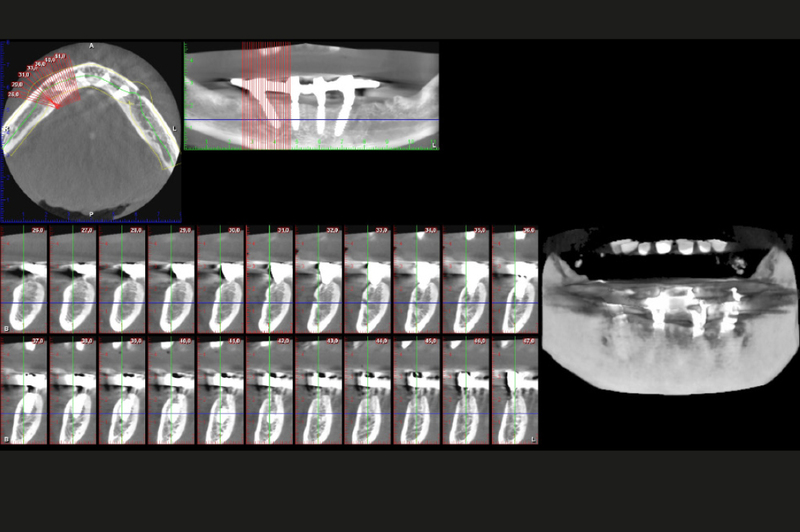 In agreement with the patient, it was decided to extract the remaining teeth and to place two axial anterior implants (3,75 x 12mm) and two tilted posterior implants (4,5 x 14 mm) for an optimized load distribution. Right after surgery abutments were chosen and definitely seated into the implants. An abutment level impression was taken and a conventional cast bar was fabricated. 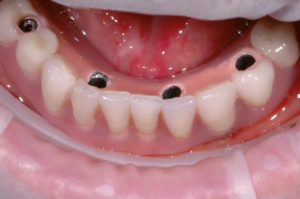 The next day, in the morning, an aesthetic try-in with resin prototype teeth was performed; in the afternoon the definitive prosthesis with metal structure was screwed onto the abutments. 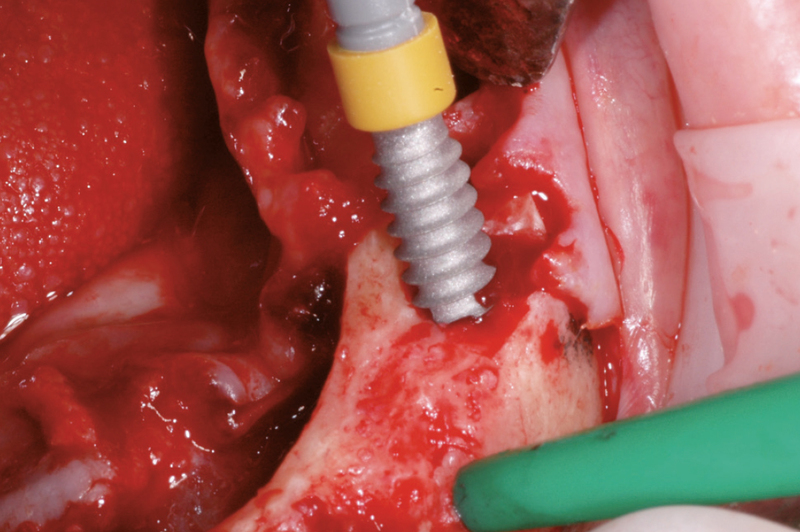 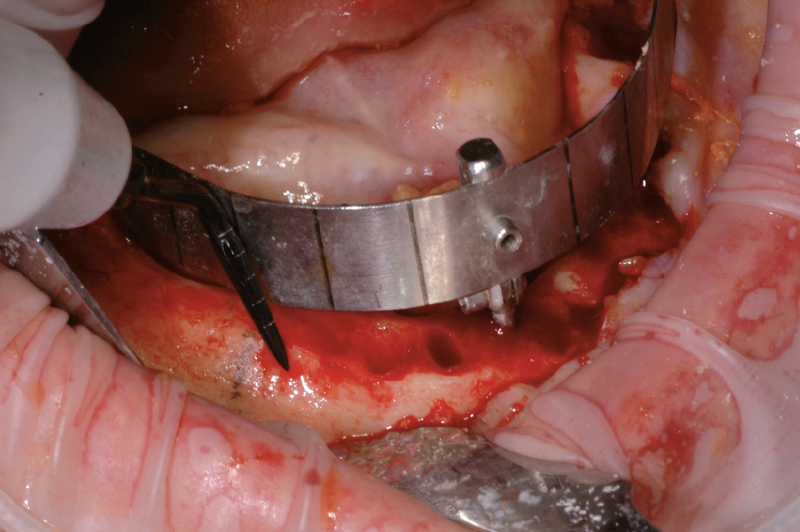 After four months of healing, the prosthesis was unscrewed, rebasing was performed with acrylic resin and the definitive prosthesis was delivered to the patient. 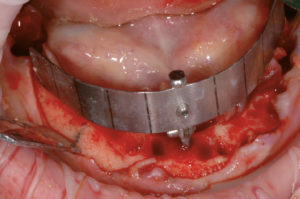 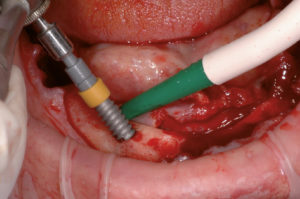 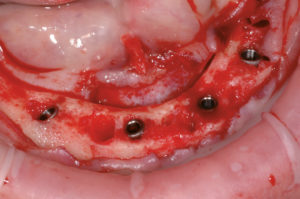 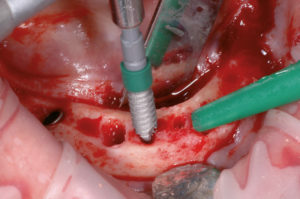 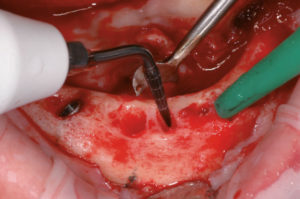 Fabrication of screw-retained prosthesis with the Leone implant system is easier and safer than with other implant systems because there is only one screw to deal with (the prosthetic screw that fixes the structure to the abutments) and not two, as the connection between abutment and implant is realized with a screwless Morse taper connection. 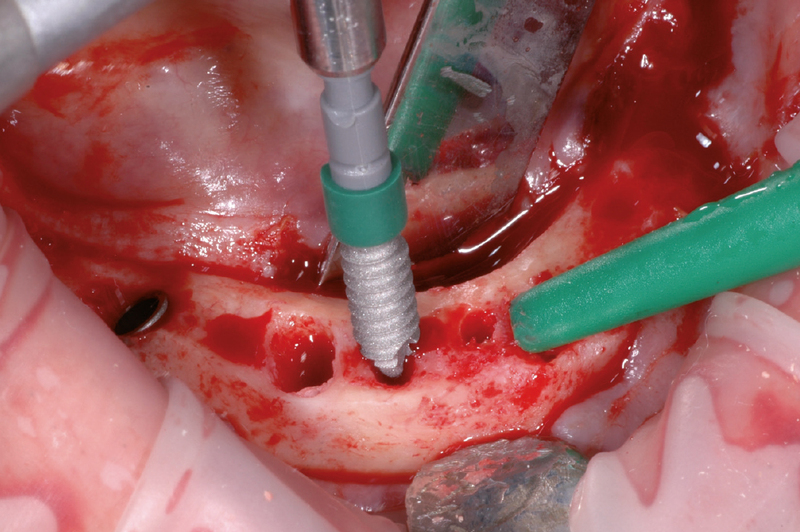 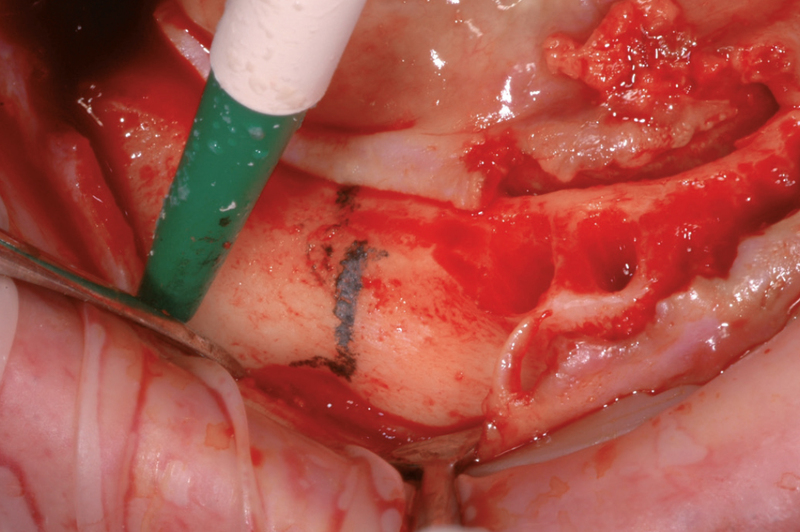 This makes procedures faster and simpler, a big advantage especially in case of immediate loading. In addition, the prosthetic screw has a diameter of 2 mm, the biggest on the market, preventing mechanical complications such as screw fractures or loosening.